PNB Recruitment 2019 - Apply Online for 325 SM, Manager & Officer Posts in PNB. 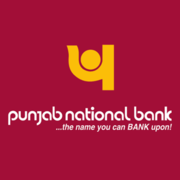 Online Applications are invited by Punjab National Bank from 14 Feb 2019 to 02 Mar 2019 for 325 vacancies. Minimum 5 years of post-qualification experience in Banks/ PSU/ Corporate High-Value CrediU NBFC. Minimum 3 years of post-qualification experience in Banks/PSU/Corporate High-Value Credi U NBFC. 55 Graduate with a degree in law or law graduate who has passed 05 years integrated course from the university recognized by the Govt. of India. Minimum of 5 years:- i)Active experience as a practicing advocate. ii) As Law Officer in the Legal Department of Scheduled Commercial Bank/ State or Central Govt./ PSU. Minimum of 3 years:- i)Active experience as a practicing advocate. 18 02 years full time (not through Distance Mode of Education) Post Graduate Degree/ Diploma in Personnel management Industrial Relations/ HR/ HRD/ HRM/ Labour Law. 120 Full time course in MCA/ B.E./ B.Tech Degree in Electronics and Communication/ Computer Science/ Computer Science & Engineering/ Computer Science & Technology/ Information Technology from a University/ Institute recognized by the Govt. Of India or its Regulatory Bodies. Minimum 01-years experience as on date of application in software development /handling & maintaining of a database I networking I cyber security/data analytics etc. Eligible candidates may apply online at PNB's website (direct link is given below) from 14 Feb 2019 to 02 Mar 2019. Candidates log on to https://www.pnbindia.in/Recruitments.aspx.